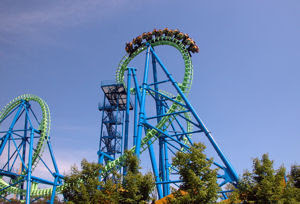 Today the CoasterCrew broke the news that Kings Dominion will be dismantling Hypersonic XLC before the 2008 season begins. 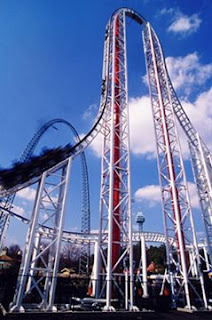 When it was unveiled in March of 2001, Hypersonic became the very first Compressed Air Launch coaster. Its claim to fame was the quickest acceleration for a roller coaster... 0-80 mph in 1.8 seconds. I rode this roller coaster on its second day of operation. I remember waiting over two hours in line, but I didn't care. I was excited to try out this ride which was one of the first to be hyped in the internet era. Besides the fast launch, the park touted the a new design which included special shock absorbers and pneumatic (air-filled) tires that were designed to provide a smooth ride. Whether or not they actually worked is still up for debate. People can say what they want about Hypersonic.... but the launch was simply amazing. It beat the launch on Kingda Ka, Top Thill Dragster, Speed: The Ride, Flight of Fear, Xcellerator or any other launch coaster you want to name. But after the launch and the climb up the first hill, the ride was a disappointment. After that first ride, I never felt it was worth a two-hour wait. Slow operations, frequent downtime and the fact that the ride itself had a duration of 30 seconds were all major turn offs. During its seven seasons in operation, I only rode Hypersonic XLC three times. So, as we say goodbye to Hypersonic XLC, perhaps it also time to say goodbye to the age of the roller coaster gimmick. Perhaps the days are done when parks care about setting records for speed, height or the strangest element. Perhaps we're not going to see any more Top Thrill Dragsters, Son of Beasts, Xs or other rides that put an emphasis on gimmicks instead of just showing people a good time. There are many roller coasters out there that divide people... and Hypersonic was no exception. Some loved it and others hated it. But, regardless of what camp you were in, you have to admit that its launch was the best anywhere. That's what I'll miss. What do you think? Click Here to join the discussion in our forums! One of the big news items that we've heard about during the off-season is how Silverwood Theme Park has purchased the much debated Deja Vu coaster from Six Flags Great America. This Vekoma Giant Inverted Boomerang had a mixed track record at the three different Six Flags parks where it ran. Most people essentially saw it as a giant lawn ornament because of it's massive downtime. Now, the one time I visited a Six Flags park that had a Deja Vu, it was operating perfectly. It was a fun ride too.... and this is coming from a guy who really doesn't care for boomerang coasters. So I was sort-of surprised that many enthusiasts were not behind the idea of Silverwood buying this massive coaster and adding a major landmark to their skyline. Obviously, the park knows something we don't know. They must believe that they have the staff and the resources to keep this thing running. So far, it seems like the gamble is paying off because they are receiving some good press coverage. 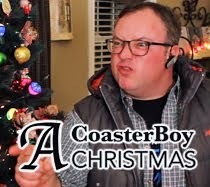 But of course, the article mentions the bitching of CoasterBoys. It will be interesting to see how it goes. But one thing is for sure... if Silverwood manages to keep the ride running, we're all going to wonder why Six Flags couldn't. 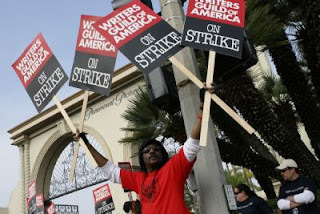 As most of you know, the Writers Guild of America (WGA) has been on strike for several months. Most of these creative individuals have been spending their days on the picket lines. The only creative outlet they've had is to come up with catchy slogans for their protest signs. I bet they'd like to contribute something creative to the entertainment industry again. So, I propose an idea. Someone from Cedar Fair needs to contact some of these WGA writers and get them to come up with some of the new names for former Paramount attractions. I don't want to be overly critical.... but changing the name of Kings Island's "Top Gun" to "Flight Deck" isn't very creative or fun to say. I'm no Navy Pilot, but when you're on a Navy aircraft carrier, can you even ride a "Flight Deck"? In fact, I'm willing to bet that readers of this blog can come up a better name for free. Anyone care to give it a try? Click Here to join the discussion in our forums! 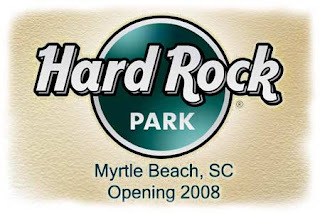 Is anyone else excited about the Hard Rock Park? There hasn't been a new park to get this excited about since the opening of Islands of Adventure way back in 1999. The Hard Rock Park looks absolutely fantastic. We've all seen the YouTube videos of the different rides testing... but I'm most excited about the different theming we'll see throughout the park. An entire 1970's themed land sounds awesome to me. The Hard Rock Park website really gives you a great idea of what the entire experience is going to be like. Thrilling rides set against the backdrop of music we all know sounds like a recipe for success. Click Here to join the discussion on our forums. Thanks for checking out our site! 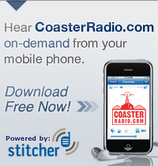 CoasterRadio.com is a weekly show all about theme parks and thrill rides. We're hoping it's something you might find interesting. In August of 2009, we decided to create a project based around a celebrity who loved theme parks. 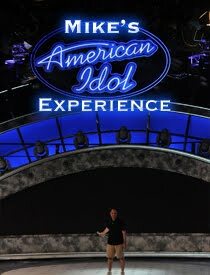 The goal was to get the celebrity to record the introduction voiecover that plays in front of our podcast. We knew that you are a big fan of going to parks like Disneyland and Six Flags Magic Mountain. So, we decided that we would base the whole thing around you! We called it "The David Arquette Project." Since that time, our listeners have been doing creative things to bring your attention to the show. We even had a contest where listeners recreated some of the famous scenes from your movies. Anyway, it would be great to have you as a phone guest on our show! It would be even greater if you agreed to record the opening voiceover! 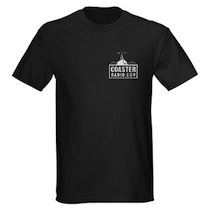 Our e-mail address is feedback (at) coasterradio.com. Our voicemail line number is 206-339-3360. It would be an amazing conclusion to "The David Arquette Project" to hear from you! I wonder if this guy ever listened to our podcast. Or does he read this blog? Probably not.... he seems like a "CoasterBuzz" or "In The Loop" guy to me. Why(fi) do we need interactivity at the parks? So, I was reading this article over at Jim Hill Media today about a new wireless device that Walt Disney Imagineering is testing in Orlando. They're calling it the "Disney Magical Connection". Essentially, it's a handheld device that will allow guests to view wait times at specific attractions, whether there are FastPasses available and even where their favorite Disney characters are located throughout the park. The device also will feature interactive graphical maps that will show you where the rides, restrooms, shops and bathrooms are located. We are definitely an information society and we want it as fast as we can get it. That's why there has been an explosion of wi-fi devices and hotspots all over the world. 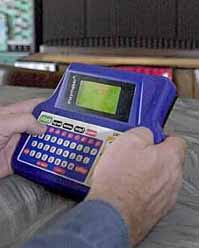 When I first read about this Disney device, I loved the idea. I'd be one of the first people to sign up for the whole "Disney's Magical Connection" thing because I love having the latest tech gadget. As a theme park junkie though, I'd figure out how to use this thing to get a jump ahead of the other lame suckers who didn't have one. I'd become the ultimate techno-tourist. While everyone was waiting in the 120-minute line for Splash Mountain, I'd use my "Disney Magical Connection" to see that Space Mountain only had a 20-minute wait... and I'd be there. 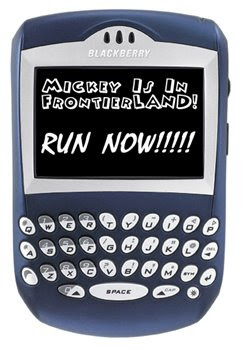 If I had kids with me, I'd love to receive an instant message that said "Mickey has just arrived at the entrance to Frontierland!" I'd pull my kids out of the "Buzz Lightyear's Astroblasters" queue and make a bee-line directly for the Mouse.... before any of those non-technological a-holes could figure out that he was there. Who cares if the kids are crying for missing out on Buzz! MICKEY IS WAITING! I'd use my "DMC" to book the last dinner reservation at Victoria and Albert's... before that annoying couple from Omaha who wanted to celebrate their anniversary could get in there. Screw them! Let them go eat at one of the fast food places over at Downtown Disney. I'd be the technological master of the world.... Walt Disney World. But, after a day of constantly checking this device to see how I could get a jump on the crowds... would it have made my day any more enjoyable? Or, would it have made it more stressful? Would I be so distracted by the technology that I didn't pay enough attention to the good time I was supposed to be having with my friends and family? Sadly, I've done this type of thing before. Sometimes when I go to a sports bar for dinner with friends, I'll start playing that addicting NTN Bar trivia. Sometimes I get so into the game and the technology, I stop talking with the people that I'm eating with. At the end of the night, I might have won a meaningless game... but I also missed out on good conversation with friends. I'd hate for that to happen when I'm on vacation with the people I love. To me, "Disney's Magical Connection" is similar to FastPass. Both are interesting ideas and can be helpful at times. But they add another layer of something that must be done to ensure that you get the most out of your vacation. I miss the days when we didn't need special tickets or special gadgets to have a fun time. I miss the days when everyone bought the same ticket and everyone had fun together. But I'm a hypocrite... I'd probably still pick one of these up and use it throughout my vacation. I'm a tech junkie.... and I need the information NOW! What do you guys think? Click Here to join the discussion on our forums. 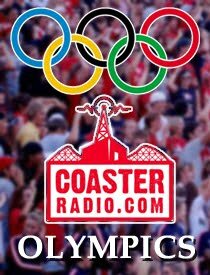 Even though we're weeks away from officially re-launching CoasterRadio.com as an amusement industry blog.... I figured that we needed a certain amount of posts already online when this thing started up. 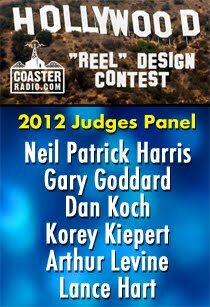 So, I'm proud to enter the first ever post on the all-new CoasterRadio.com! When we started up the show in April of 2005, we were one of the first podcasts on the web and honestly, we didn't know what to expect. We approached the podcast like a traditional radio show, which some people loved and others hated. But thankfully (and amazingly), a large and loyal audience began to gather each week and we were on our way. I've always said that the best part about doing the show, besides hanging out with my best friends, is that we got to interact with so many interesting listeners. The majority of the people who listened to the show were laid-back, intelligent fans of theme parks and not the ultra-obsessed nit-pickers that you find throughout most of the theme park enthusiast community. The audience was always eager to interact with us, whether it be though contests, forums, the voicemail line or any other way they could think of. It was an online community that you could hear! So, our idea is to bring the same fun and energy that was in the podcast into this new blog. We aren't going to report news, but instead, start discussions. We plan on bringing some of that same interactivity to this new type of "show." There's going to be more info as we get closer to the official launch date... so let's get started.